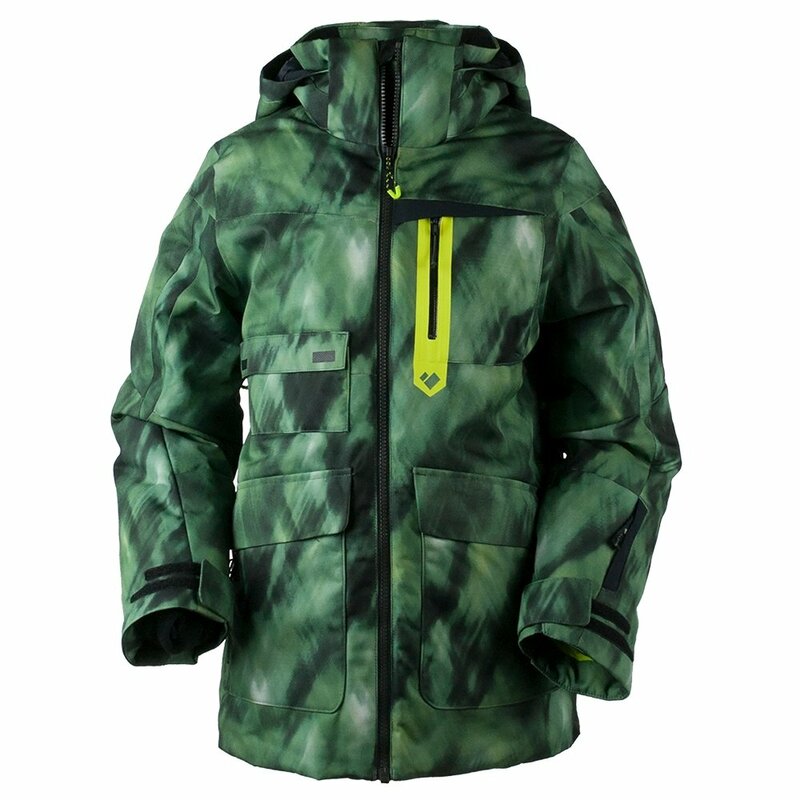 For the youth skier who has a lot to carry, there's the Obermeyer Axel Ski Jacket. This high-performance jacket's face is loaded with pockets of different shapes and sizes, offering plenty of space to carry anything he could possibly need. Of course, there are also interior pockets for things like goggles and a cell phone, so the jacket packs it all. In terms of weatherproofing, it pairs HydroBlock® fabric with mapped insulation and all kinds of performance features. Articulated sleeves help with movement and a built-in ventilation system helps with cooling.